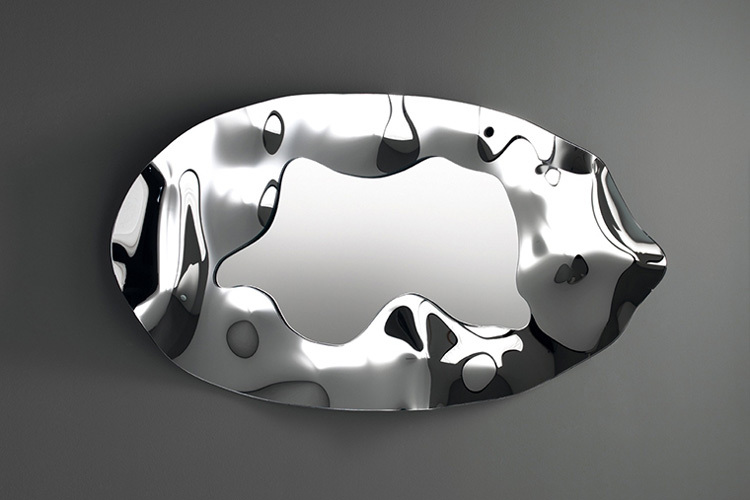 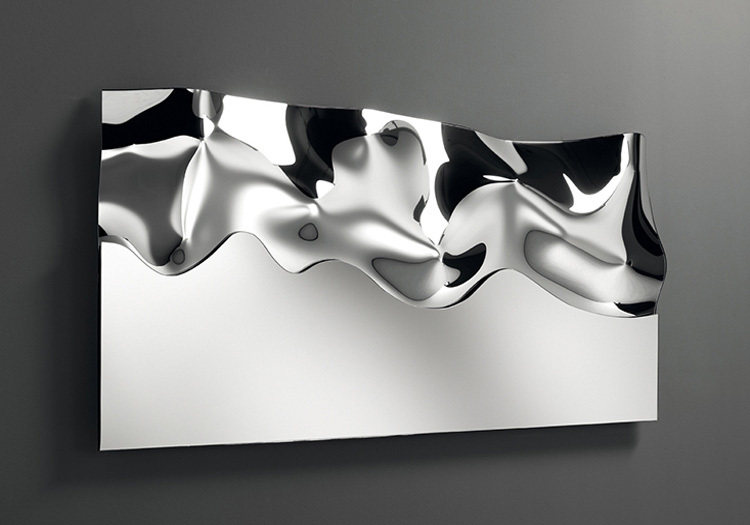 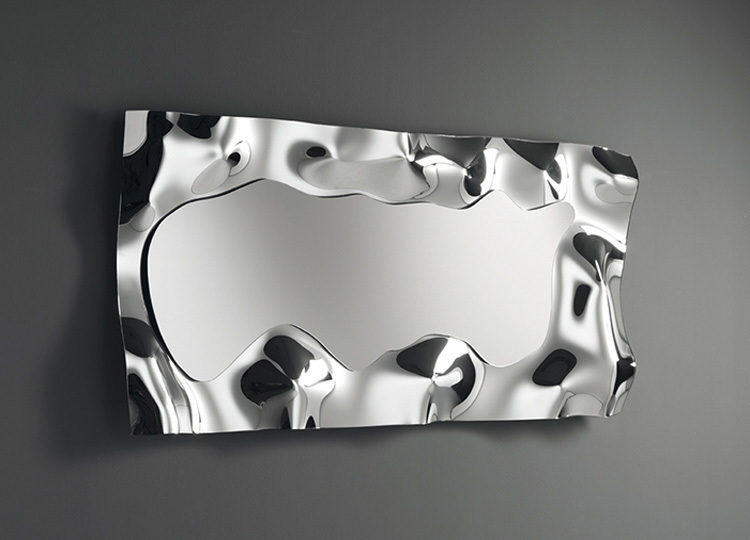 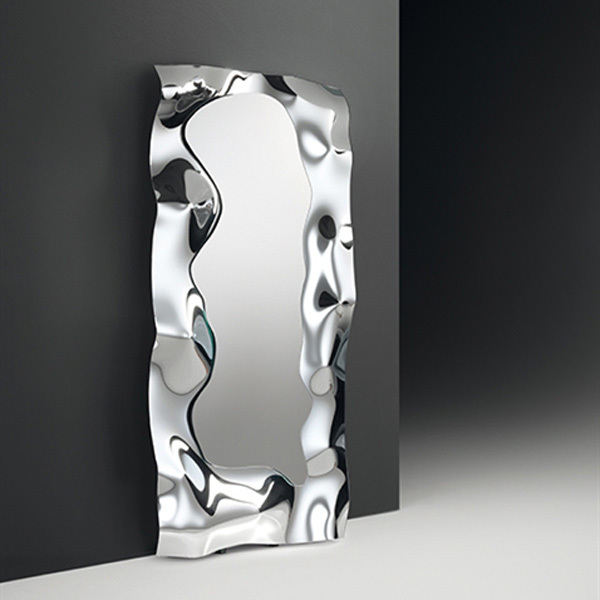 This mirror has an interesting silver frame made from high temperature fused glass that creates multiple relections due to its irregular shape. 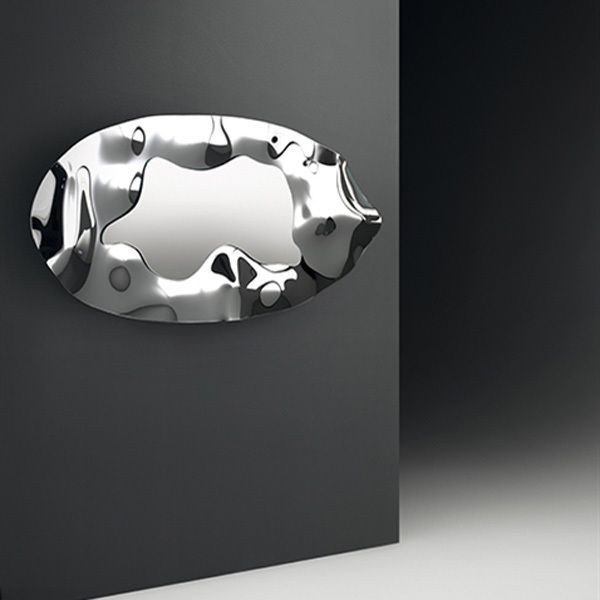 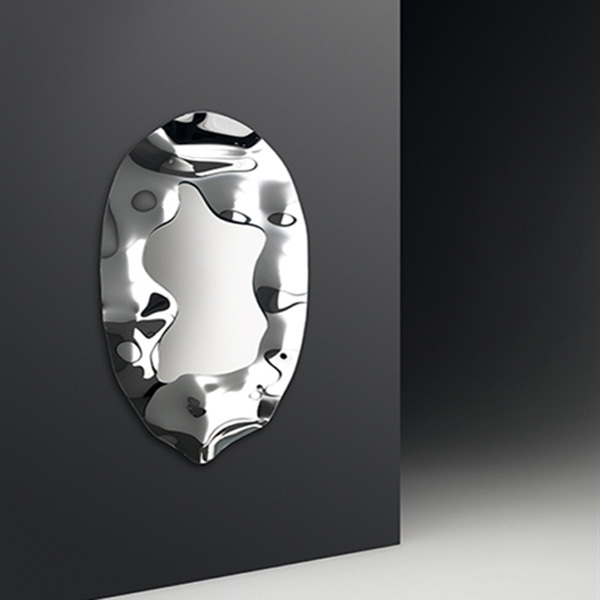 Available in oval and rectangular sizes, the mirrors can be hung in various positions. 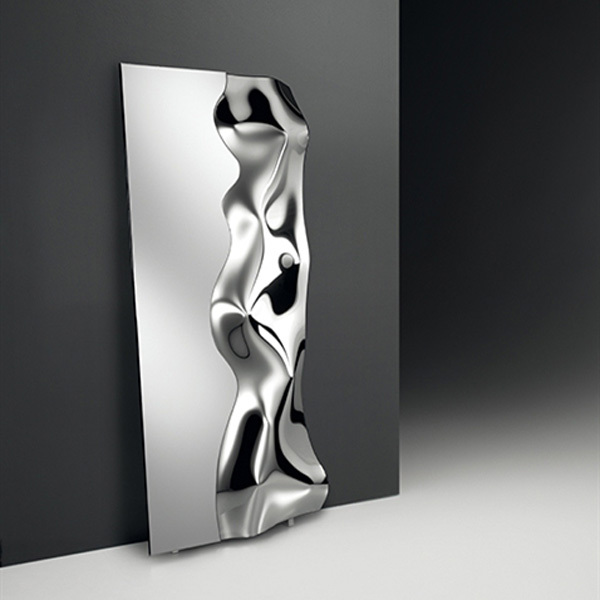 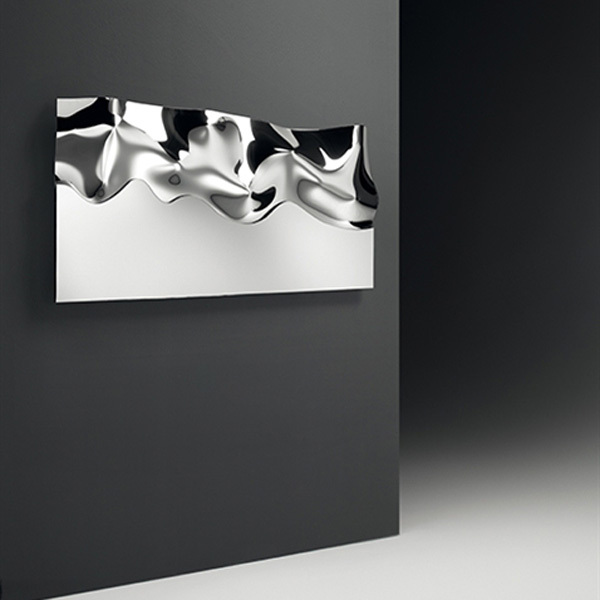 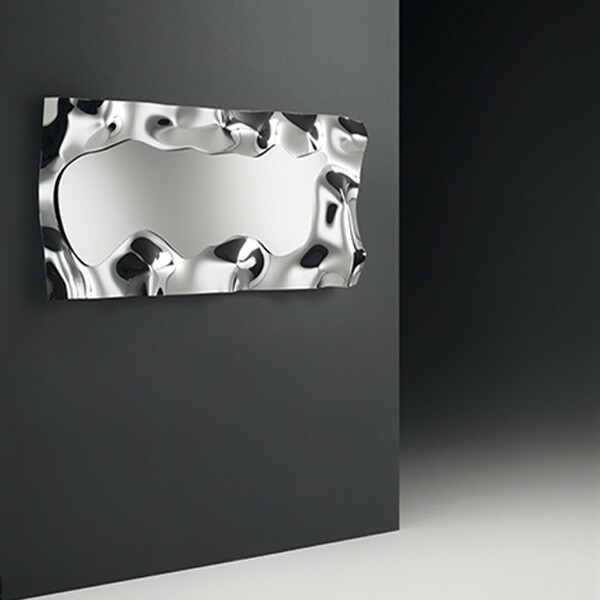 The rectangular versions are also supplied with detachable feet if you want to use them as free standing mirrors.